What is Scientology? Find out. Come in and take a self-guided tour of the Public Information Centre. 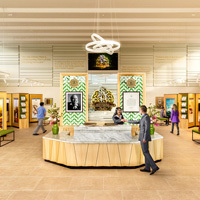 Walk through our interactive multimedia displays, and see videos explaining basic principles of Dianetics and Scientology, the life of Founder L. Ron Hubbard, and the many community outreach and social betterment programmes of the Church. Open to all beliefs and religions. Fill out the form above to schedule your visit.